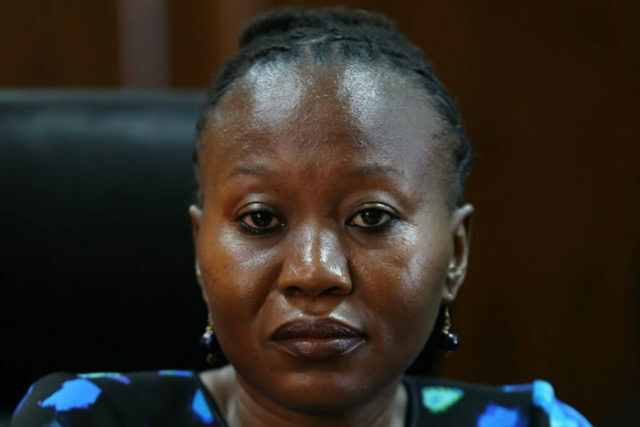 Roselyn Akombe, who is a commissioner at the IEBC has become the latest target of fake news as the country’s political temperatures reach boiling point. This is after screenshots of an alleged conversation between her and an Opposition operative on WhatsApp ‘leaked’ on social media. in the alleged chats, the vocal commissioner texts an unidentified person and their talk is based on personal life and the activities going on at the embattled electoral body. while making a response, she allegedly regrets taking the IEBC job saying it is one of the worst she has ever had. The person she is chatting with then goes on to praise Chief Justice David Maraga for the landmark Supreme Court ruling that voided the August poll, noting that it is important that President Uhuru Kenyatta – a Kikuyu – and his deputy William Ruto – a Kalenjin – be forced out of power for other communities to enjoy power. In the chat it was meant to expose an alleged scheme by Akombe who promises to work things from inside the commission and her partner in crime who will further the same through the Opposition. Akombe has now come out to strongly dismiss the alleged screenshots terming them as fake news saying it was not the first time such claims were being advanced against her.